We began welcoming international students for 2017 in July. 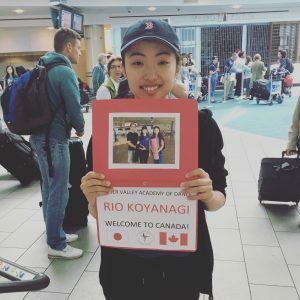 Rio arrived from Japan for our summer training, and will join our Pre-Professional Academy from September during her Grade 10 academic year. Rio plans to stay for three years to obtain her Dogwood Diploma in the Fraser Valley while training with us. 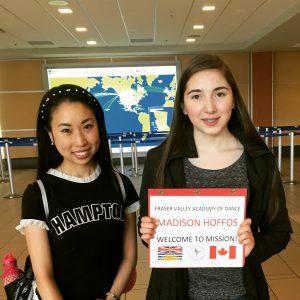 In July, we also welcomed back Madison from Terrace for her third summer with us, this time staying with a host family through our new Academy Homestay Program. 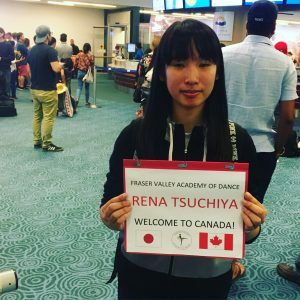 At the start of August, Rio was joined by Rena and Moena, also from Japan, Jane from Fort McMurray, and Andrea from Mexico, as well as students from across the Fraser Valley. 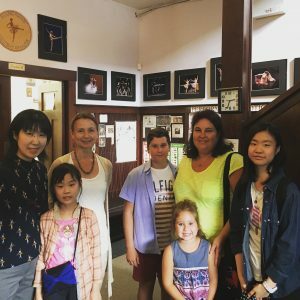 The following week, we welcomed Asumi, Miyu, Kanako and Kokoro from Japan, and Emilie from France, for our next summer intensives. 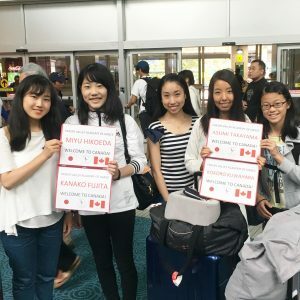 Welcoming international students in August. 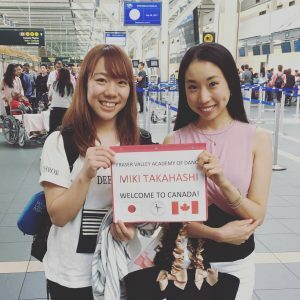 For our final ballet intensive week of the summer, Miki arrived to train with us and join the Pre-Professional Academy for the upcoming school year. All of our visiting students who needed housing were placed through our Academy Homestay Program with our wonderful FVAD families. It has been very special, welcoming international students and witnessing the relationships develop between our students, our visitors, and their host families. Learn how to become a Host Family and share in our multi-cultural experience!